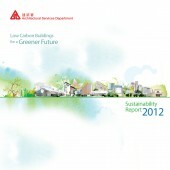 The theme of this Report is "Low Carbon Buildings for a Greener Future", stating the green commitment to our community. We transform the idea of "Moving towards a Greener Future" into the panorama of renowned buildings built by ArchSD, with artistic watercolor painting approach, let the general public feel the passion of how ArchSD wants to make Hong Kong a better place to live, and make our city full of harmony and a place that worth appreciating. An artistic approach was taken to produce the ninth Sustainability Report, themed "Low Carbon Buildings for a Greener Future". The abstract form of green elements, combined in a collage with renowned buildings in a water painting effect, shows the vision of a green future for Hong Kong. It gives off afresh and energetic feeling, at the same time emphasizing a new appearance for ArchSD. This is the sixth years we work on the sustainability report with our client (ArchSD). "Make something different" is to main task on the design brief. Therefore we provided 3 design options to out client: First option we suggested a relatively practical options which more or less reflecting the client's past design taste; Second one is a gimmicky idea with a more trendy and stylish approach; the third option is a conceptual, relatively artistic and warm approach, which is also the client's choice to work on. From that point, our designers, programmers, and content provider team up and fully work together to achieve a better result no matter on design, content and technical perspectives. After the project launched, the team found that this project was quite an accomplishment for we have received quiet a lot of praises from the general public, with appreciation on the design, the content and the programming flexibility. Among all the government departments in Hong Kong, our client (ArchSD) being recognized as the leading department in sustainability aspect. The project started in January 2012 and finished in September 2012 in Hong Kong, it is still live on the internet until now. 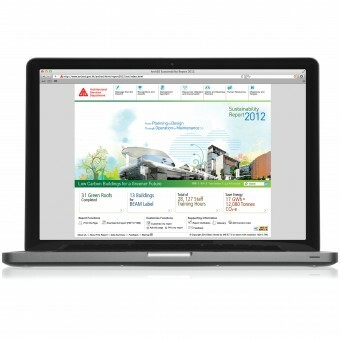 For the technicial aspect, we included lots of user-friendly innovations, such as the ability to customize the report. The web design adn programming techniques also achieve Level AA Conformance to Web Content Accessibility. Online report best viewed by MS IE 7.0 or above with resolution 1024 x 768. In the research stage, we need to site visit some renowned buildings and see how they commit to build quality government facilities to cater for public needs, and to promote sustainable development to maximize benefits to the community. As a result we learn more about how and what sustainable features can be applied on architectures and it helps us to have better pictures during the design process. We also search trough internet for the resources on how the visual elements can fulfill the requirement on Level AA Conformance to Web Content Accessibility. 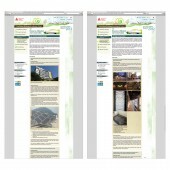 As the ninth sustainability report, our client (HK ArchSD) wants to have a breakthrough on the design. For we have work on the same project on the last sixth years, it was a huge design challenge to break all the rules and give the project a fresh appearance. We try to move the design from a practical approach to a conceptual, relatively artistic approach, and luckily accepted by the client. Another challenge is to balance the design with the technical issues, especially to fulfill the requirement of programming techniques to achieve Level AA Conformance to Web Content Accessibility, we need to enhance the color contrast between text content and background, and turn out we are proud of what we have achieved. Urban Air Design Limited, 2013. Architectural Services Department (ArchSD) - One of the Government Department of the Hong Kong Special Administrative Region (HKSAR). The Hong Kong Architectural Services Department performs three core functions in relation to Government-owned and Government-funded facilities in the following programme areas: - Monitoring and advisory services - Facilities upkeep; and - Facilities development. 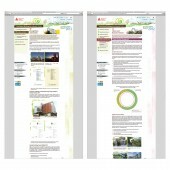 Archsd Online Sustainability Report 2012 Online Sustainability Report by Urban Air Design Limited is a Nominee in Website and Web Design Category. · Click here to register today inorder to be able to view the profile and other works by Urban Air Design Limited when results are announced. Archsd Online Sustainability Report 2012 Online Sustainability Report by Urban Air Design Limited is Winner in Website and Web Design Category, 2013 - 2014. · Read the interview with designer Urban Air Design Limited for design ArchSD Online Sustainability Report 2012 here. · Press Members: Login or Register to request an exclusive interview with Urban Air Design Limited. · Click here to register inorder to view the profile and other works by Urban Air Design Limited. Did you like Urban Air Design Limited's Web Design? 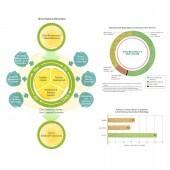 Did you like Archsd Online Sustainability Report 2012 Online Sustainability Report? Help us create a global awareness for good web design worldwide. Show your support for Urban Air Design Limited, the creator of great web design by gifting them a nomination ticket so that we could promote more of their great web designs.